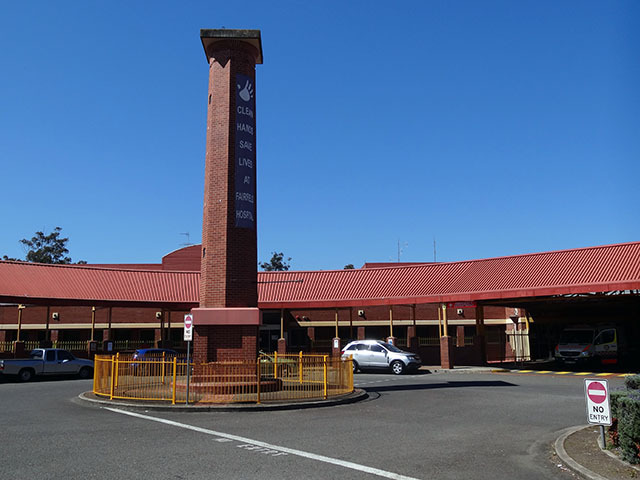 Fairfield Hospital is a district hospital located in Prairiewood in the south-western part of Sydney. It has about 200 beds and provides general medical, general surgical, obstetric, paediatric, emergency, ambulatory care, and drug health services. An onsite academic unit affiliated with UNSW Australia provides general practice services, medical education and training, and conducts primary care, health services and health informatics research. Main entrance is located next to ED off the turning circle entrance on Praire Vale Rd. Uniwide is available in the GP Unit and the Library. Students may be able to leave any bags in the GP Unit meeting room. Fairfield students will be issued with Liverpool Hospital identification as part of orientation. Students must wear the ID at all times while at Fairfield. Parking is available at the Hospital for a maximum fee of $6. Free, time limited, street parking is also available in the adjacent streets and the nearby Stockland’s Wetherill Park - but allow time to walk to your venue. A Transport Access Guide for the Hospital outlining local bus routes is available to download below. Students should use http://131500.info/ to plan their trip from Kensington or home and ensure they allow ample time for the bus transfer to the Hospital.